IMCDb.org: 1956 BRM P25  in "British Legends of Motorsport, 1991"
Confusing - commentary says 1956 British GP and talks about Mike Hawthorn in BRM retiring with oil leak after leading from start, but many sources and films such as Pathe reports list him as #23 with #9 as Cesare Perdisa in a Maserati. 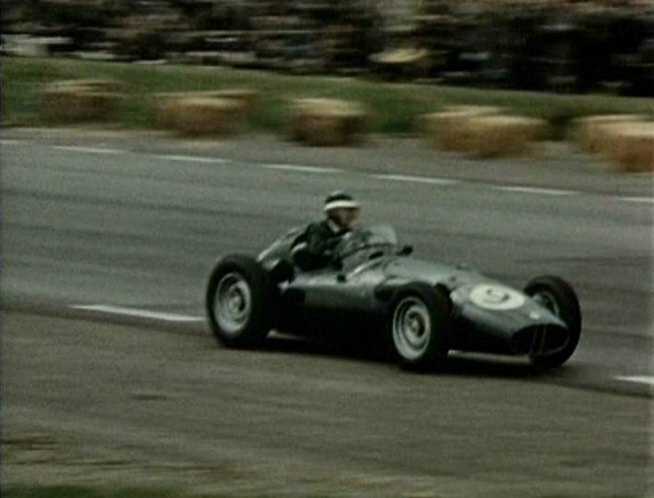 Looks like a BRM P25 to me, and the sequence (in 2 parts separated by a couple of minutes) does show him pulling in and retiring. 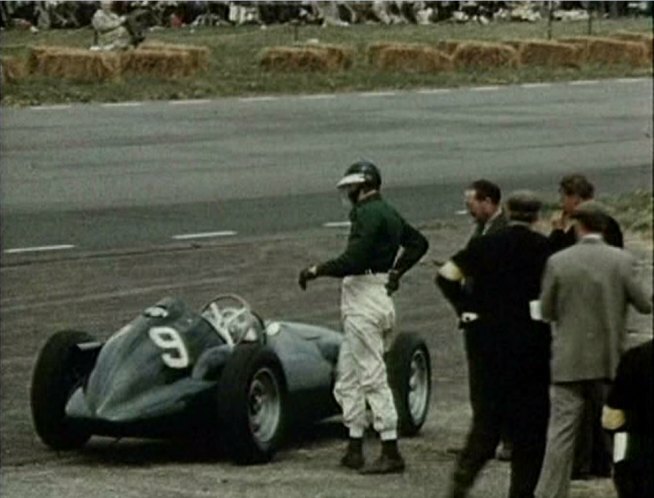 My guess is Hawthorn, but footage from a different 1956 UK race, probably non-championship. 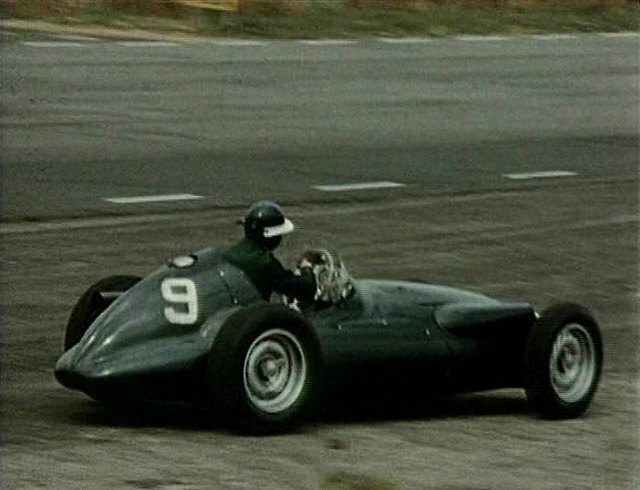 Previously entered Vanwall ID (which is reasonable from how the footage is Vanwall immediately before) now discarded. 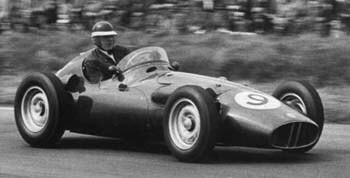 After some searching found I think as during the 5th May 1956 Silverstone VII BRDC International Trophy Race.